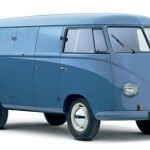 It is exactly 65 years ago when the roots of VW Nutzfahrzeuge – the charming German term for Volkswagen Commercial Vehicles – settled in the ground. The start of what would become a separate company within VW AG? 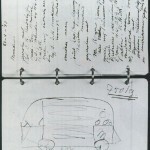 A toddler’s sketch, dated April 23rd 1947, of a cookie jar on wheels. Except perhaps that it wasn’t a toddler that drew the company’s first product, the Type 2 Volkswagen van (the Type 1 name was reserved for the Beetle, VW’s only model in production then). 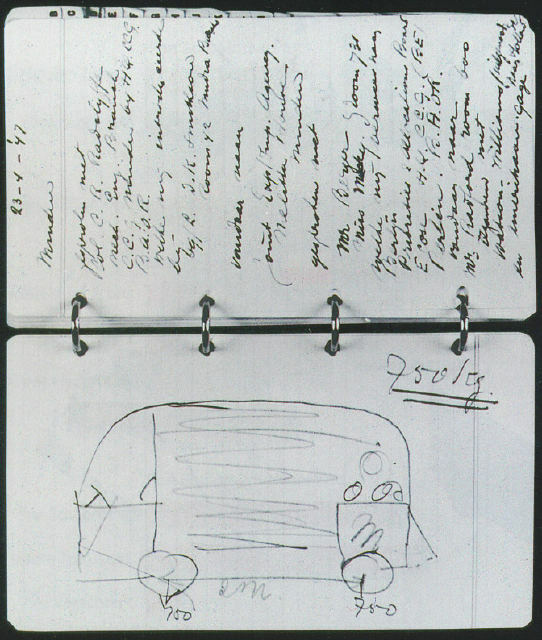 It was a Dutch entrepreneur and the sole importer of VW’s in the Netherlands, Ben Pon, who drew the first crude design of the van when he visited the VW in Germany. 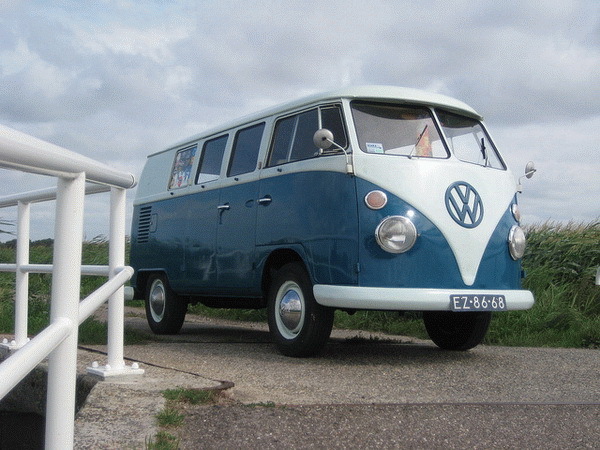 He was inspired by an internally used flatbed, well, cart, based on the Beetle and came up with the world’s first design in which the driver was positioned directly above the front axle, nowadays the most common configuration for vans. 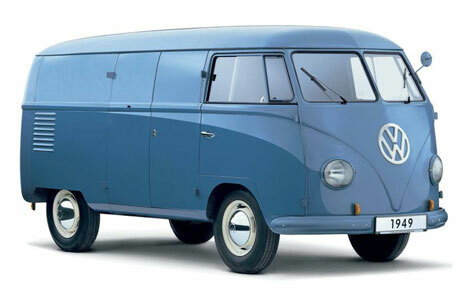 In 1948 VW ordered the idea to be investigated further, leading to the first model of the Type 2, the T1, on the market in 1950. I’m positive you know that one. It’s the round thingy, popular with hippies in the Sixties and Seventies and with collectors nowadays. It usually comes in a two-tone colour scheme, with a V-shape on its nose. 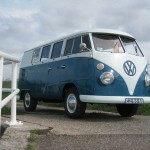 Absolutely beautiful and still the best looking van ever produced. Not likely that will ever change either. 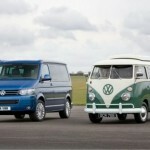 VW continued to produce the T1 in Brazil until, wait for it, 1996! The Type 2 T2, the second generation, is actually still in production today. Amazing! The Type 2 has gone through a number of generations through the years. 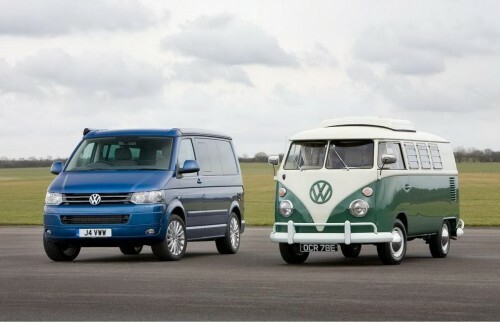 Each generation was a little, sometimes a lot, less elegant than its predecessor and since 2003 VW is building the T5. Its looks are absolutely nothing special anymore. Generally comes in white and carries either a small number of contractors with a lot of stuff stuff or a large number of contractors with little stuff. Or it belongs to a company that walks dogs for people that shouldn’t have gotten a pet. There’s a 3.2 VR6 version though. With 235 hp, it should be a thrill to drive. I’m sure it can pull the cobblestones out of the road, even with a trailer full of bricks behind it. This entry was posted in News and Views and tagged Ben Pon, Brazil, car, Germany, LS, Netherlands, separate company, Volkswagen, Volkswagen Commercial Vehicles, VW, VW AG, VW Nutzfahrzeuge by The Flying Dutchman. Bookmark the permalink.